We would recommend John to anyone who requires professional and quality work. I am so happy with the result. Already I have given your name to several people and will continue to pass out your cards. Thank you very much for a great job – work of art. We are delighted with the final results of the landscaping. It makes a huge difference to the house. Many thanks for your transformation of our garden. We are thrilled with the landscaping and pergola. Thanks for being patient and working with us. Thanks to all your staff for always cleaning up after themselves and were very helpful. Once again, thanks! The work you have undertaken at our home was absolutely magnificent. This has resulted in a transformation from a house to a home. Helen and I would like to thank you and your team very much for a job well done. Thank you for your time and a magnificent job. I hope that … we can use you to landscape the next home. Thank you for all your hard work. We are really pleased with the back yard.. Thanks to you and your team. We are so thrilled with the carport, back landing and stonework that you and your great team did for us and we can’t believe how much our home is now improved. We have had many positive comments from neighbours and friends who believe our carport has improved the streetscape. I wish to express our sincere appreciation for the very good job your company did in the construction of retaining walls, garden edging, and paving at our residence. The end product has made such a difference to the general appearance of the house as well as being most functional. 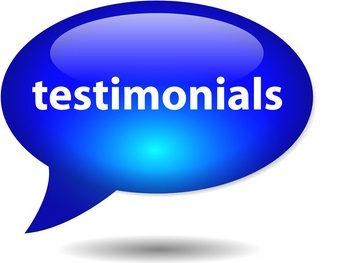 My family was impressed with the professional manner in which you went about the project, the advice you offered in certain aspects, and the very friendly and courteous approach of all employees involved. John Asnicar and his team from Pinnacle... have completed a major landscaping project… We are very impressed with his skills and dedication to his work. He was thorough and meticulous. We are very pleased with the aesthetic and technical quality of his work… We highly recommend him to any client for landscaping work. I have just had the following work carried out by John Asnicar. Coloured concrete driveway, large concrete patio area and side paths. Two tiered rockery and lawn in the front garden. We are very pleased with his work, and have no hesitation in recommending him to anyone wanting concreting or landscaping around their house. It’s all very functional and comfortable now, not to mention that it all looks wonderful. We have had many comments from friends and passers-by and neighbours at how it all looks great. That is of course thanks to your great team of workers and tradesmen. We are very, very pleased with the outcome and look forward to enjoying it. Thanks also for your practical advice along the way and, of course, the hard work you put in yourself personally. I think the work you have in this area – generated by word of mouth and by example, is testament to how good it is. I’m sure we will see you around here in the neighbouring area for many years to come, and whenever it comes time for us to move, you will be amongst the first people we will call on fir further work on a new house.